“Following devastating attacks by Sheng savages 20 years ago, the Taskan Empire has rebuilt its colonies in Further Tarsenia. The silver mines at New Seppesh are running again, but recently rumblings have been heard from Mount Khakun, a slumbering giant with the power to level the land. 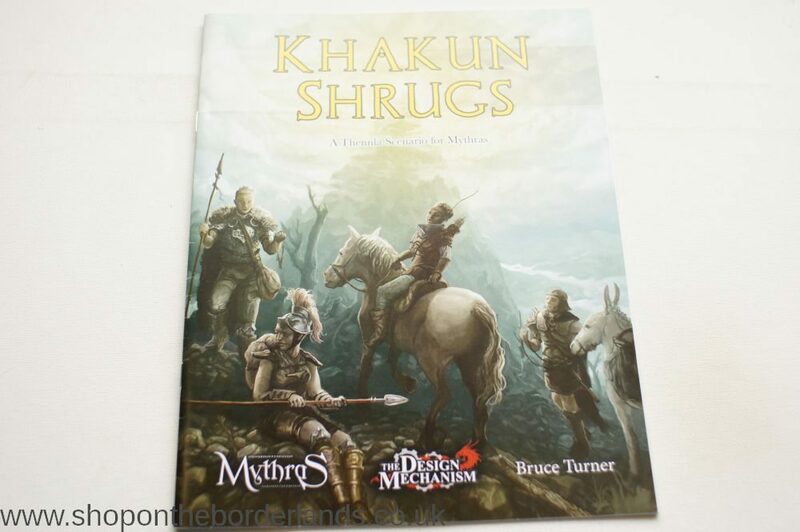 The Tarsen priest, Michel Tob, is organising an expedition to the Mountain Foot shrine in a bid to appease the awakening Khakun – but at what cost? And, more to the point, who awoke the giant anyway…? Free PDF if you buy from us! Just email your receipt to [email protected] and they will do the rest.